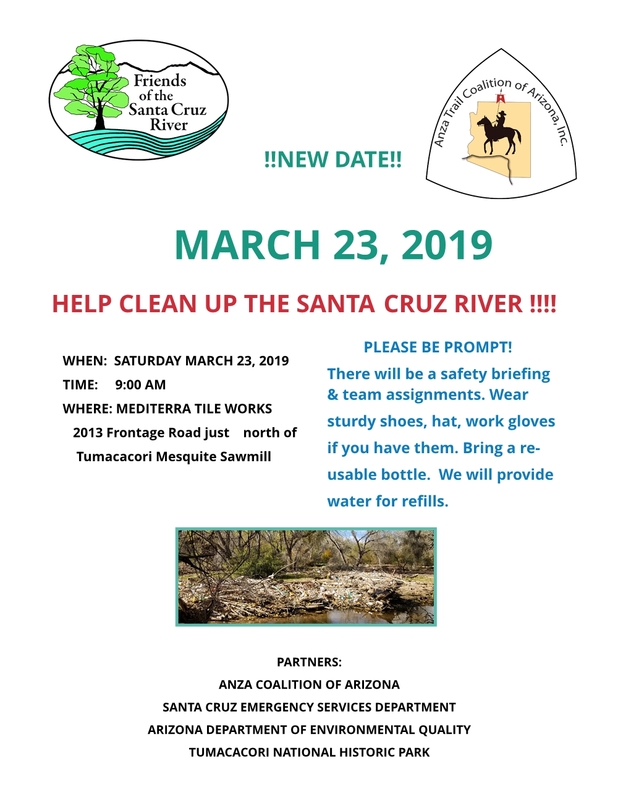 Welcome to Friends of the Santa Cruz River (FOSCR)! FOSCR was formed in 1991 to “ensure a continued flow of the river’s surface waters, promote the highest river water quality achievable, and to protect and restore the riparian ecosystem and diversity of life supported by the river’s waters.” Our non-profit, all-volunteer group focuses on the portion of the river from its headwaters in the San Rafael Valley in Arizona, south into Mexico, and then north to through Santa Cruz County, AZ to the Pima County line. We work with riverside landowners, government agencies, and other citizens and community groups to keep the river flowing, its banks clean and green, and its environment bountiful to both wildlife and people. The river has no water or land rights. So it is up to us, who care about its survival, to advocate for it, to be a voice for the Santa Cruz. The more of us that speak, the stronger the voice! Urge Them to Pass The “Nogales Wastewater Fairness Act”! Check out upcoming River-related events. Get the latest news about FOSCR & the Santa Cruz. Become a FOSCR member. Together, we can make a difference! Your donation will help us protect the Santa Cruz River.